Everyone seems to have their opinion on where does the best hot dog in New York. There’s even a hot-dog eating contest in Coney Island (although its location, Nathan’s Famous Frankfurters was badly hit by Hurricane Sandy and is currently closed for rebuilding). The corner hot dog stand is as ubiquitous as the yellow cab or the Subway busker, dishing out their “dirty water dogs” day and night. 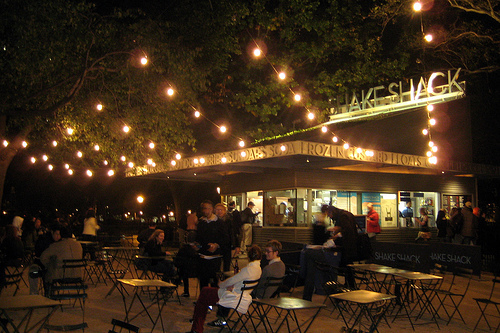 But with the news that Shake Shack will soon be opening in London, I made a beeline for its “mothership” in Madison Square Park to sink my teeth into one of its Shack-cago Dogs. 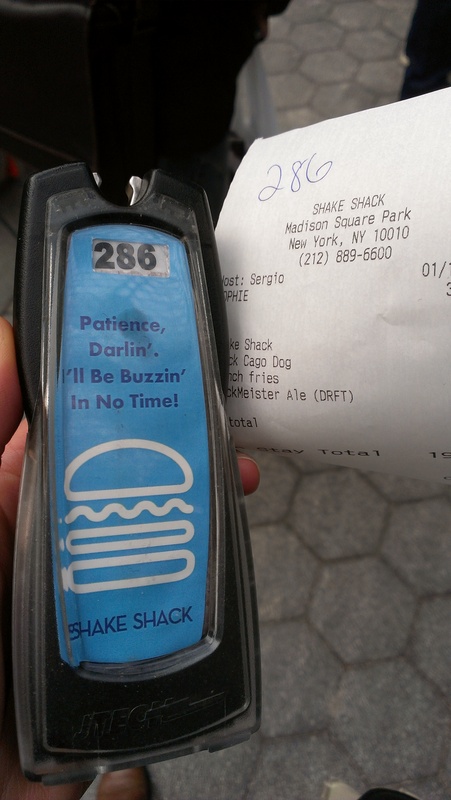 Danny Meyer’s burgers-n-dogs empire has been causing quite a stir, and Londoners seem particularly excited about his expansion over the Pond (don’t we love a burger/dog/MEAT at the moment?). But after waiting around 15 minutes for my fast food in Madison Square Park on a chilly January afternoon, I got a bit impatient and wished I’d gone across the road to one of the seven, cosy, sit-down restaurants at Eataly instead. When the Shack-cago dog arrived with my companion’s Smoke Shack burger and a side order of crinkle-cut Yukon fries, it was all luke warm. Still, our “Shackmeister” Brooklyn Brewery ale was nice and cold. We took a seat under a patio heater in the hope it might grill our lunch (not to mention our scalps and the ozone layer) and got stuck in. The verdict? It’s like a posh McDonald’s. The dog, with its relish, mustard and crunchy condiments was as salty as a sea dog, served in a pappy, sweet bun, while the burger didn’t have a hint of smokiness. However, it did come piled with chopped-up chili and a nice, thick rasher of applewood-smoked bacon (for which I’ll forgive the plastic cheese) and the fries were very, very good. And we did get to eat with the iconic view of the Flatiron building right next to us, which isn’t something you’ll be able to say of the forthcoming branch in Covent Garden, which will have views of… men spray painted silver and pretending to be a statue. So the best hot dog in New York? I’ll reserve judgement.